This third leg will be won by the "finer details", according to Team Camper, as the New Zealand outfit attempt to track down the two current leaders. Groupama and Telefonica, the overall race leaders, may be scrapping for the Volvo Ocean Race lead, but as the fleet prepares for strong winds and high seas – forecast for 35 knots over the next day – Camper will bide their time before making a surge for the line in Sanya, China. "There are certainly some opportunities there for some gains and losses to be made, particularly with Puma at the moment taking a slightly different offshore route," Stu Bannatyne, Camper’s co-skipper, said. "For the rest of the boats heading towards the coast it will come down to finer details – how we manage smaller wind shifts and dealing with local obstacles like the fishing nets. "We’re not going into it looking for a massive jump but hopefully we can just chip away and gain a bit here and there and get close enough for a crack on the final sprint in to the finish in Sanya." At one point this week, Camper trailed leaders Telefonica by 70 nautical miles but have now reeled in 30 of those to secure third place, 30 miles clear of Abu Dhabi Racing, in fourth. Bannatyne, one of the most experienced racers in the fleet, said Camper’s experience of heavy weather upwind sailing would pay off as they headed for the Vietnamese coast. "During our early training phase in New Zealand we put the boat through some tough upwind conditions and it came through without any breakages at all," he added. "We have a lot of confidence in the boat and a lot of experience with managing the boat in big seas and rough conditions. "We will certainly be pushing as hard as we can to the point of not breaking anything. The old saying ‘to finish first, first you have to finish’ still applies. 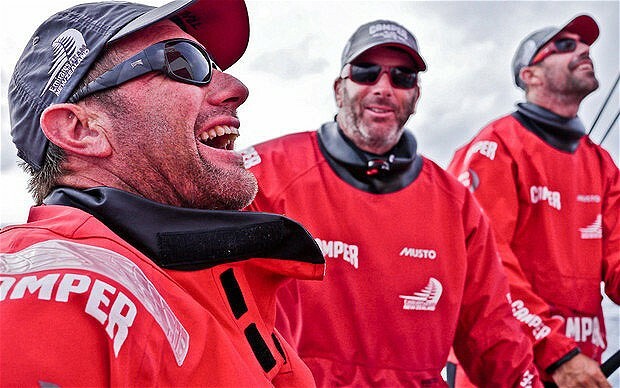 We’ll push as hard as we feel comfortable doing which is hopefully a bit harder than the other boats. "With the weather that’s coming there are still some interesting tactical decisions to be made. There are certainly some available opportunities."